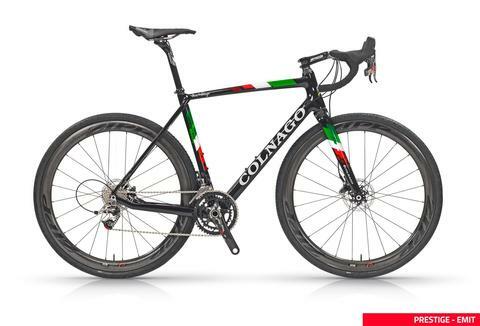 It is the Cyclocross frame par excellence of the Colnago range. Monocoque in carbon fiber is the result of years of experience on the race fields all over the world and the collaboration with the greatest champions of this specialty. Monocoque carbon fiber, in this latest version boasts exceptional qualities of lightness, agility and rigidity. The braking system on discs with flat-mount standards provides all the power necessary for maximum control of the bicycle in any situation. The internal cable passage provides a noteworthy aesthetic cleanliness, with the sign of comfort and lightness the 27.2 mm seat post.